Things have gotten a little away from me this week. Posting a flash back Friday post on a Saturday is just one of the many things I am behind on! It always happens when the husband goes out of town, but he's back now and things are back to normal! Yesterday it was flash back Friday on the Bo Bunny blog. I chose to create a page about my sweet, sweet dear Bacon who passed away last August. We adopted Bacon when he was 5 from dachshund rescue. He cme to us in very poor shape and the worst thing was that his foster mom said he was much better from when they first found him. Him and lots of other dogs were confiscated from a bad breeder and the dachshunds in the bunch were given to the doxie rescue. He was a little guy (just about 7 pounds) and loved to sit in any lap he could find. He had such a cute personality and he would keep us laughing with all his funny behaviors. When he finally passed in August he was almost 18 years old. It's kind of amazing that he lived that long after such a bad start in life. It was our goal to make sure he always had a happy life after having such a bad one for so long so he just may have been the world's most spoiled dachshund! 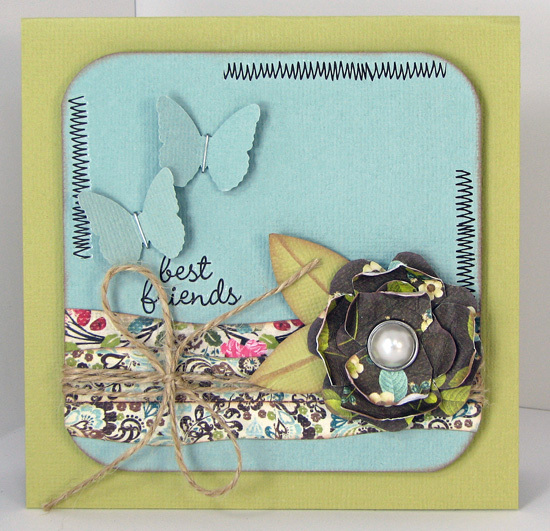 I used the Bo Bunny Timepiece for this layout and the sizzix Tim Holtz Tattered Florals die. I still volunteer for dauschund rescue and unfortunately there are lots more dogs like Bacon who just need someone to love them. You can visit the rescue's site HERE. 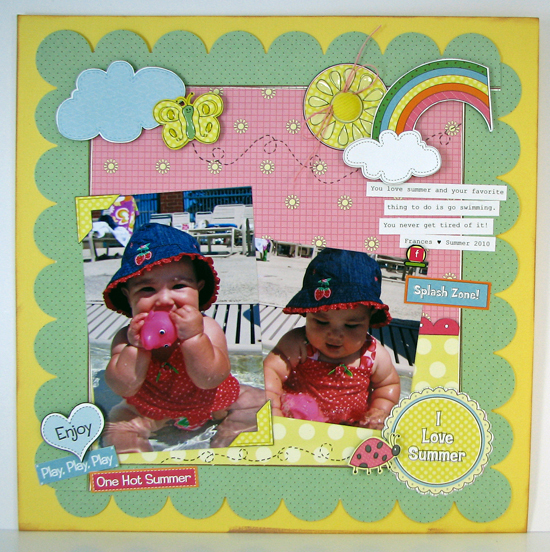 You can also see more flash back layouts created using Timepiece on the Bo Bunny blog HERE. 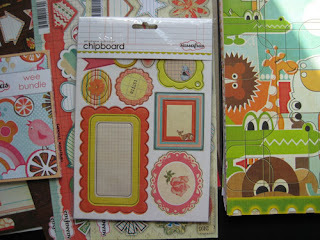 I'll be back Monday with The ScrapRoom blog hop and a little giveaway. Hope to see you then! Isabel with her basket. Frances wouldn't sit for a picture. She just wanted to rip everything right out of it. Isabel in her Easter dress. The only picture of the two girls wthere they are both looking at the camera. The cake I decorated. I got the idea from a Rachael Ray magazine, but that cake looked very different. ﻿Frances on her egg hunt. She would not look at the camera!! And now for some Bo Bunny! Blast Off is one of my new favorite lines. I just can't get enough of it. This is the second layout I created with it and I still have two more planned. It is just sooo fun! And who said Blast Off is for boys only? I couldn't resist using it for this picture of Frances meeting George at the children's museum. She was so excited I was only able to get one picture that wasn't blurry due to her moving and jumping around! 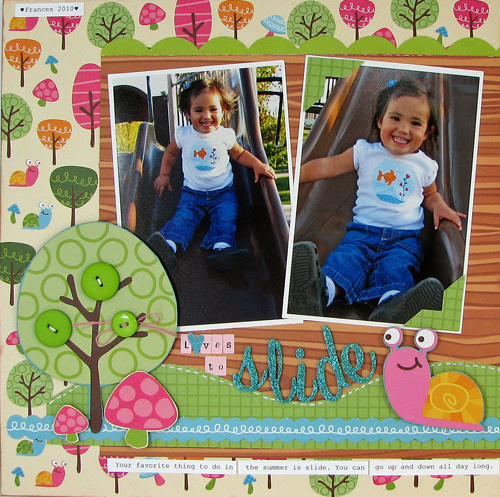 The focus on the Bo Bunny blog is quick and easy scrapbook pages today. 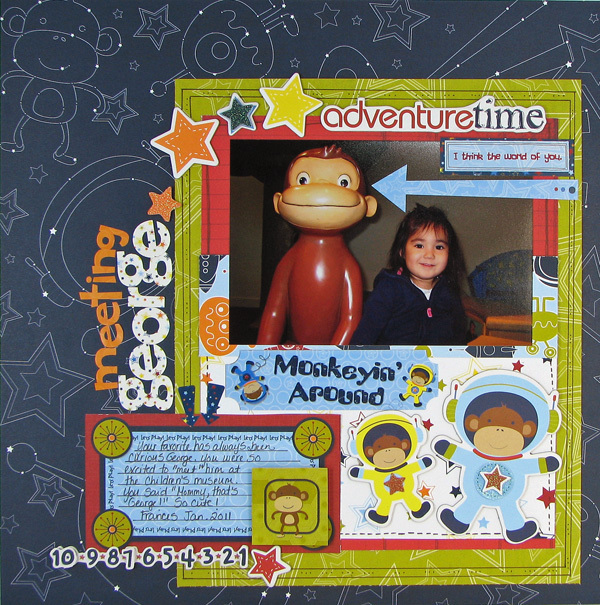 To make this "George" page fast I used all premade embellishements, chipboard and stickers. 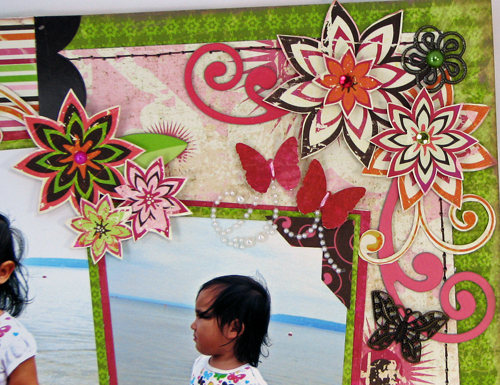 So once I had my papers and photo glued down, I could just peel and stick to add embellishments. The dimensional stickers and Icandy chipboard are perfect for quick pages because they already come glittered and jeweled up. I then added some doodling and hand written journaling to save some more time. 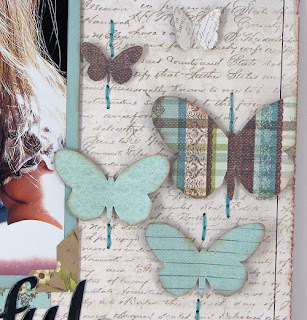 You can check out the Bo Bunny blog for some more quick and easy scrapbooking tips. Thanks for coming by today! Hello, hello! It seems more like winter here then spring right now. Only 37 degrees today! Brrrrr! To make it start feeling a little more like spring here is a spring card that I created with the April Double Shot Kit from The ScrapRoom. And if you like the flower I made there is a tutorial on the ScrapRoom blog HERE. Hi all! I hope everyone is having a great day and great start to the week! I am so slow to everything. Last to get a cell phone, DVD player, DVR, etc. I actually still have one of those big bulky tv's in my family room. Everyone always asks when I am getting the flat screen! So it didn't surprise anyone that I just discovered the Twilight books! Yes, I know they have been out for sooo long now. The advantage to waiting though is that I can read all four with no waiting. I bought the first book when it first came out and it just sat on my shelf. Last week I was looking for something easy to read. Something I could read with Dora on the backgroung (hehe) so I dusted it off and started reading. My sister has the whole set and she told me she would bring the other three on Easter. Well..... I am now starting the 4th book!I couldn't wait so I bundled up the girls (yes, it's April, but still only 38 degrees in Chicago) and went straight to the library to check out all the books. I have been neglecting all my responsibilities to read these books! So as soon as I am done with this post off to start reading again- lol! Besides reading, I did manage to get a few Nikki Sivils layouts done for her blog today. You can see the rest of the DT's work HERE. 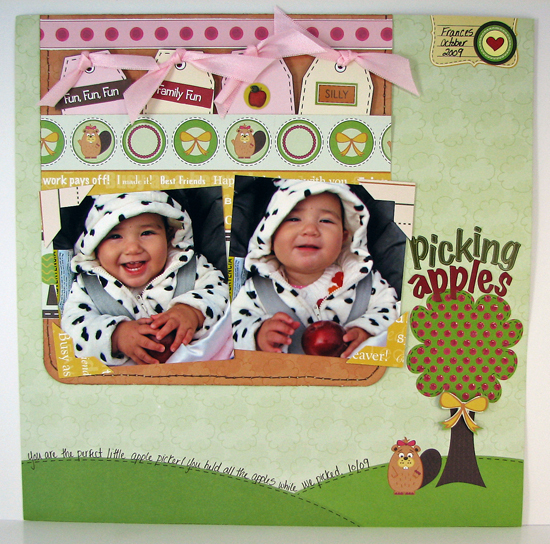 I used "Beatrice" for this layout of Frances picking apples two falls ago. This one was created with "Summer". Look how chunky my girl was! And a birthday card using "It's your day". Hello everyone! Happy Friday to all! As I mentioned before I will be teaching a class for Miss Art's Papercrafting School, yay!! My class starts on May 1st and I would love to "see" everyone there! $10 101 Subscription: Miss Art's 101 classes are posted every 10 days, and are designed for the crafter who loves having a constant flow of new ideas, fun tips, and techniques. These classes are video based, and range in length from 2-6 videos. As a 101 student, you will have access to live online chats with some of your favorite designers and teachers, as well as personal email responses every time you have a question. 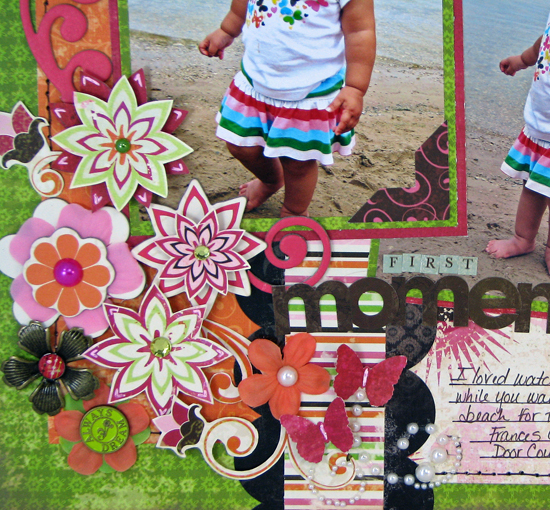 We all know that “a picture is worth 1,000 words,” but did you know capturing the perfect scene in paper is priceless? Grab your scissors, a mouse, and select a piece of wall that is screaming to be beautified, because Sarah Eclavea is going to walk you through planting a piece of paper perfection. In this 101 class, Sarah will use a variety of techniques in 2 videos showcasing paper piecing, word art, and hand stitching to teach you how to master dimension, perspective, and detail in an altered 8x10 frame. And of course I have to give a little sneak of the class too! How would you like to win a free subscription? Head on over to Alyssa's blog for your chance. Thanks for stopping by and hope to see you on May 1st! Hi all! I hope everyone is having a great week and has some fun planned for this weekend! It was too nice to be on the computer yesterday so I decided to save this post for today. I used only a few sheets of My Little Shoebox patterned paper and white cardstock for this. 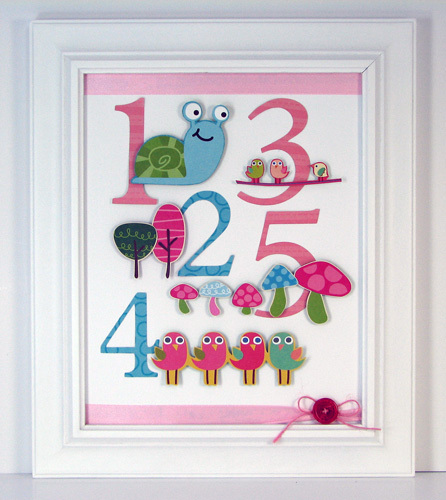 I cut the numbers with my cricut and everything else was cut out of the patterned paper. The walls in the girls' bedroom are pink so it looks really cute against the pink background. Including the frame my version cost about $6.00. Hello on this sunny Tuesday afternoon. It's finally sunny today! Frances and I made some kites out of construction paper this morning and she is all excited to "fly" them in the park this afternoon. I use the term "fly" loosely because I don't think they are really going anywhere! Mine at least looks like a kite (a very pathetic kit - lol), but she just taped some string to the back of a piece of construction paper for hers. I kept asking her is she wanted me to cut it for her, but she said no she liked it as is. I love how two year olds are satisfied by the simple things. If only us adults could be that happy about things :) I will try to take some pictures of our kite flying adventure and post them. 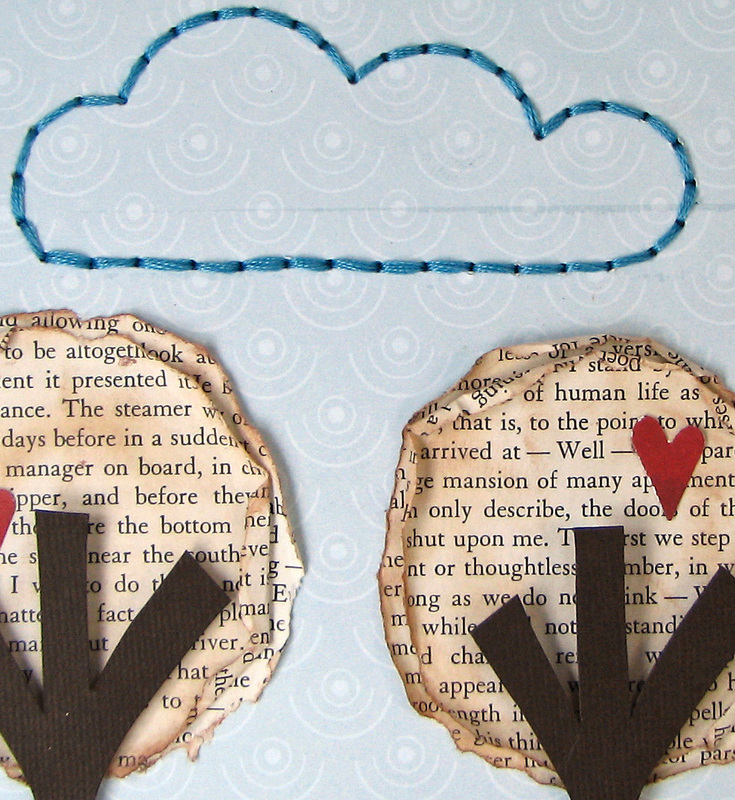 I have some Nikki Sivils "We are Family" paper that would be perfect for them! I used the Timpiece card kit for this and I have to say I am falling IN LOVE with the card kits! They speed up my card making so much. 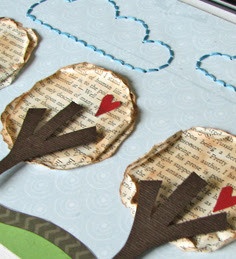 I have never made a card from the directions (although those are fabulous) and still my cards come together in no time. Since the bases are all cut and prescored in the kit all I have to do is pick out the shape I want and start adding stuff. I cut the the flowers with my sizzix Tim Holtz die (Tattered Florals) and then added some paper from the mini 6 x 6 paper pads and chipboard, diecuts, and rubons from the card kit. And then of course I had to add the wraps and trinket for the challenge. I used the wraps behind my flower (the brown and twin) and for the center of my flowers (black and white). I even tried misting for the first time too! I think I got a little too excited and sprayed a little too much, but now I know for next time right? If you want to play along you just may win some Bo Bunny goods! Go to this POST for details. It's time for a sketch challenge and this is a good one! Juliana Michaels created this fantastic sketch for the Bo Bunny sketch challenge this month. I had so much fun creating with this sketch. 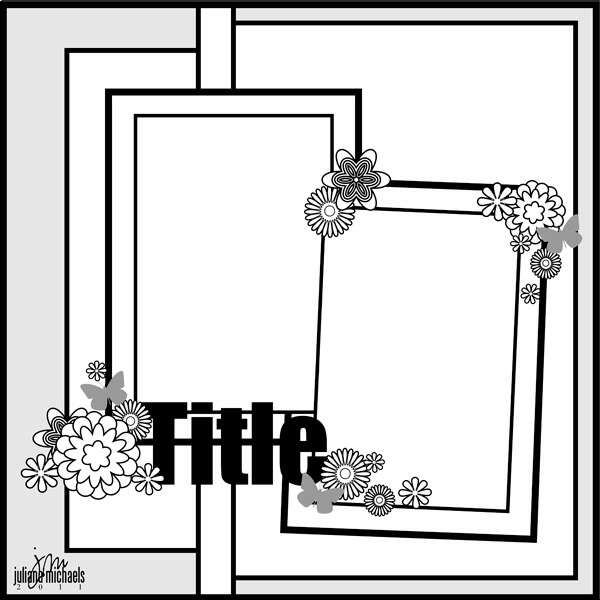 I decided to stray from my normal style and use lots of flowers in this layout. Now I am not as good as clustering all the flowers as some girls, but I really like how it turned out. I handcut most of the flowers from the Vicki B patterned papers and the rest are from the chipobard and Bo Bunny petals. I also handcut around swirls. I have to say I love it, but it took a LONG time! I used mostly the Vicki B collection and some Gabrielle trinkets and Timepieces stickers. The photos are of my sweet Frances walking on the beach in Door County, Wisconsin. It was her first time on the beach and walking through sand. I love the thoughtful look on her face. If you would like to create with this sketch too check out the Bo Bunny blog HERE. You can win some Bo Bunny goodies too! Good luck! I guess I should announce the winner of the Sassafras goods first huh? You would probably just scroll down to see the winner anyway - hehe. Thanks so much for everyone's comments. I really appreciate everyone taking time to stop by my blog, especially the regulars :) It really makes my day to read your comments. Congrats on that very deserving invitation! The sneak peeks look fab! Thank you so much for the opportunity to win. One of the things I would like to learn is how in the world does your stitching come out so perfect? Now how does my stitching come out so perfect? I will just say that is one of the things covered in my class, wink, wink ;) Congrats Nati Tristan! Send your mailing address to Scrapcetera@aol.com. If you getit to me by tomorrow morning I will ship your prize out tomorrow afternoon. Also I was Soup Spotted again today!! My "Things You Say" layout is featured on their blog today. You can see it HERE. I keep thinking it is Wednesday today! I usually take Frances to music class on Wednesdays, but for this session I switched to Tuesdays and today was our first day. So now all day long it's Wednesday in my mind. Weird how we get so used to things and how hard it is to change. My little guy Bacon (our beloved mini-dachshund) passed away last August and I still call him for dinner or wait for him to come to the door when I get home. It happens much less frequently now and I can imagine it will go away all together one day, but I do it enough that I find Frances reminding me that, as she says it, "Bacon doesn't live hear anymore Mommy, he lives at the doctor now." She is such a little sweetie. Anyway I am remembering Bacon because I am in the middle of creatinng a layout about him that I have been putting off. I want something to remember him by and want it to be special so it is taking me a little longer than anticipated. I will share it soon though. In the meantime, I have a card that I created with the April Double Shot Kit from The ScrapRoom. 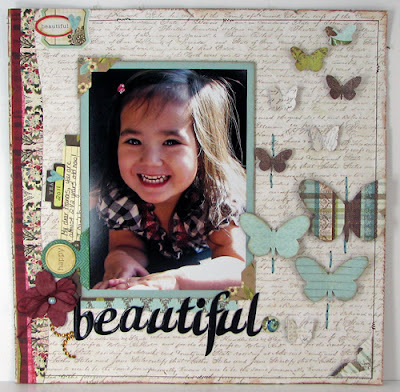 It is a little mixture of Prima Madeline and Cosmo Cricket Upcycle. All supplies are from the kit except the twine. It's very spring like and I will take all the spring I can get right now! Thanks for coming by today and have a Happy Day! Where are you? Just when the weather starts to get warm it gets cold again. It's like a mean trick. Yesterday we were out all day playing and having fun in our t-shirts and today it was freezing. I just can't wait for warm weather! Here is another layout I created for the My Little Shoebox DT call. It is my sweet Frances doing what she loves best- going down the slide. Boy she can go up and down that slide a hundred times and isn't even the slightest bit tired. I love these photos because the smile on her face shows exactly how she feels about sliding. 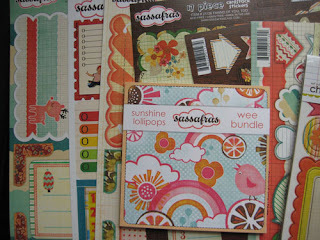 There's still time to enter the Sassafras giveaway too. Just scroll down to yesterday's post and leave a comment. Have you ever wished there was a school which only taught your favorite classes, that had the best teachers and where tuition was so affordable it left you plenty to buy the most stylish school supplies? Miss Art's Papercrafting School is a virtual academy for every student who wants to learn the latest techniques from the paper crafting industry's leading experts and it is opening its doors for the first time in 30 days. Subscriptions to our monthly classes start at $5.00 and include live online chats and personal email responses from your favorite designers. Consisting of 2 - 12 videos with unlimited monthly access each class is the perfect blend of individualized crafting and supportive learning. You may purchase our reasonable kits to compliment your course or pull items from your own stash using our detailed supply lists. Now that's all I can show you for now... but there are some more sneaks of my class and other classes on the Miss Art's Facebook page. There's also lots of fun and giveaways that you don't want to miss. Please go on over and "like" the page. To countdown to the grand opening select teachers and staff will be participating in a month long blog celebration starting tomorrow. Be sure to check out Alyssa's blog as she will be sharing information about the hop and Miss Art’s classes with you. Heidi is our Program Director and is also one of our talented teachers. 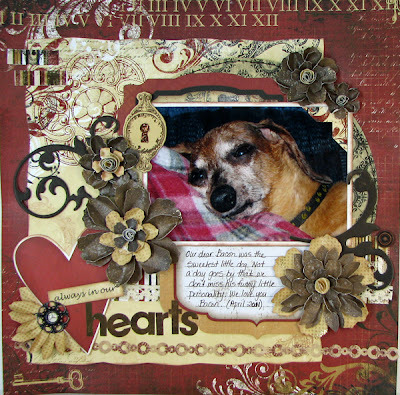 One of her classes is available at Stash to Treasure and will continue to be available at Miss Arts. CarrieAnne is the Miss Art's Marketing Director. She is a fantastic addition to the team, and we are thrilled to have her on board. Stacy will be teaching a class in May at Miss Art's. 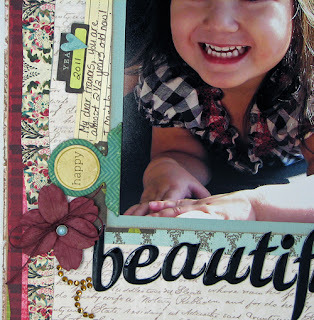 It's called "The Secret Garden" and is a gorgeous layout class. Keep your eye on her blog every Thursday in April for sneaks! Also- Each week day (Monday-Friday) in the month of April Miss Art's will be giving away one free monthly all access Extra Credit (we'll be explaining what that means soon!) subscription to a lucky winner who leaves a comment on the staff member of the day’s post and posts our count down blinkie in their sidebar (see Alyssa's blog for details or snag it from my sidebar)! The winner will have access to Bethany Kartchner's class NOW at Stash to Treasure, and ALL 6 of the classes coming to Miss Art's in May! A box of Sassafras including over 48 sheets of patterned paper, diecut sheets, chipboard, 12x12 and small sticker sheets, rubons, and 6x6 wee bundle. And I can't end without sending a big Birthday shout out to the sweet, sweet Nikki Sivils. Happy Birthday Nikki! 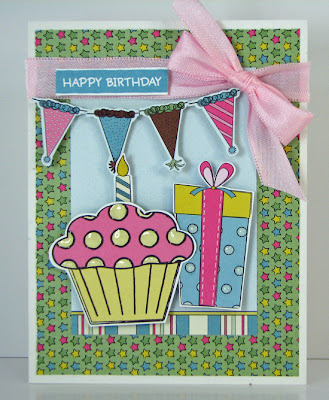 To celebrate her special day the DT divas created some bday cards for her that are on her blog HERE. You can't have a birthday without presents so there is also a special giveaway. 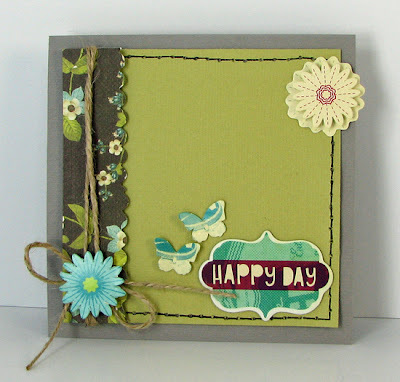 Welcome to the April ScrapRoom blog hop! 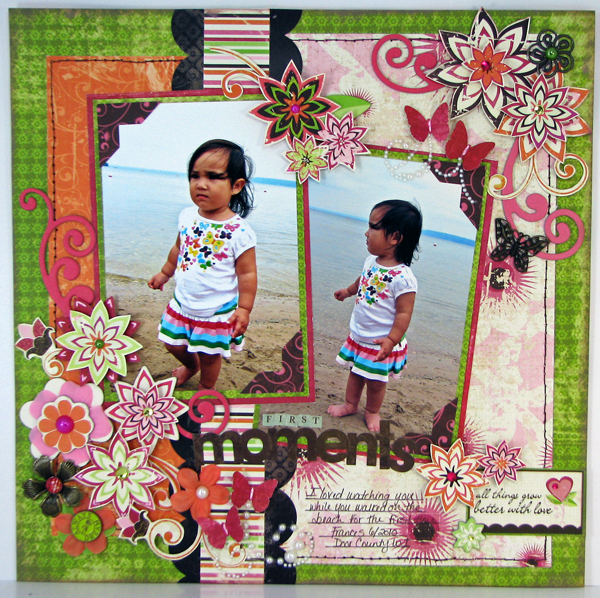 As the double shot designer I got to work with the double shot kit that is filled with the new Prima Madeline. It was perfect for this sweet picture of my dear Frances. She is growing up into such a beautiful girl. I think all the traces of baby are gone now- sniff, sniff. Sarah Eclavea - that's me! The hop begins at Lan's blog, but all of the blogs are linked in case you get lost along the way. Just follow along the blog path, and keep hopping until you reach your last destination which is The ScrapRoom Facebook Fan Page!! Make sure you become a follower and leave a comment at each blog telling our wonderful designers what you liked about their project! When you reach The ScrapRoom Facebook Fan Page, leave a comment letting us know that you finished the hop. One blog hop participant who follows the rules, will be chosen at random to win a $5 gift certificate to The ScrapRoom Store! Whoot! Whoot! Check out the blog Wednesday, April 6th for our winner!